Never go out of stock on your inventory. Helps you categorize products, know low stock items and invest in right inventory to increase your small business revenue. 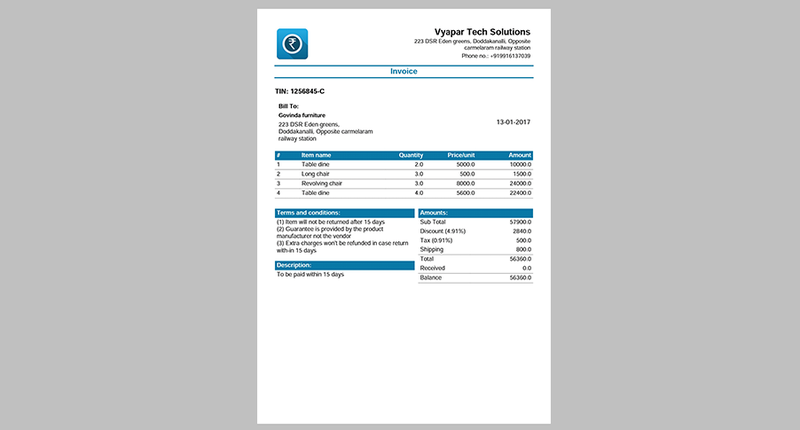 Vyapar is a fully customizable app where you can enable or disable any functionality based on your small business need. It helps you to see the right things which are applicable for your business only. Be on top of all your receivables (money that you have to collect from market) and payables (money you have to pay to market) at all times and have clear visibility of who owes you how much.